Just a note to let you know what a fabulous experience we had with Heavenly Touch. Not only were you able to go with the flow when the date of discharge changed for my mother-in-law, but you handled the problem graciously when the hour of her discharge changed as well. The people who stayed with my mother-in-law were terrific. She can be a challenge and all your personnel went above and beyond expectations. We just couldn't be more pleased. We would most certainly use your service again if the opportunity arose. Earlier this year I saw your ad in the local paper and "on a whim" called to find out about your services. It was one of the best moves I've ever made. We had been concerned about how we would care for Bob's mother when she returned home from an extended stay out West. I would highly recommend both your agency (Dave, you are always receptive to my calls of concern) and of course, Carol, who certainly has a special way with the elderly. Thanks again. My hat is off to both of you. I'm writing to express my most deep felt gratitude for the services you have provided in caring for my aging parents, who are currently in assisted living. My need was great. My father, age 92, required hospitalization after a fall. My mother, who depends on him to keep her oriented, was at a total loss. I called you and you began providing services the same day. Not only that, but no matter what the schedule was. no matter how the plans changed, you continued to provide the highest level of service, utilizing a team of compassionate, competent and extremely patient caregivers to watch over my Mother while my Father was sick. I particularly appreciate your personal involvement in the care giving. Dealing with the elderly can present challenges. Not only did you provide excellent caregivers, but you closely supervised them, staying abreast of the problems, communicating them to me and helping solve them yourself, even when it required extra time and effort on your own part. In closing, I thank you from the bottom of my heart for providing such excellent care to my parents. You have made my job as the adult child of aging parents much easier by your compassionate care and understanding. Feel free to use me as a reference. I will recommend you with the highest level of enthusiasm. For several years now I have been a client of yours, and as you know, I am slightly handicapped. These past two years, apart from the SafeGuard Calls, you have provided me with drivers to my many medical appointments, pick-ups at the airport, etc. plus on occasion some of your employees to grocery shop and clean my condo for me. However, February 2nd your service was "above and beyond". My home helper, who has been with me for 5 years and who is undergoing overwhelming personal problems, called and apologized for having to cancel, a second time, coming to me. I then telephones you to ask for help, never expecting that you would provide me with someone that very day, but you did. One of your efficient employees came in the afternoon, did my grocery shopping, then vacuumed, mopped the kitchen floor, PLUS changed some overhead bulbs and the filters on the furnace!! You are providing an excellent service and I do wish to say "thank you so much". I am writing this letter to inform you that I have the highest regard for your company, Heavenly Touch, and for the services you provide. When I knew I would be out of town for a week earlier this month, I was overwhelmed with the fear I wouldn't be able to find someone reliable and patient to stay with my husband Herk. Herk doesn't need extensive caretaking, but he does need someone to monitor his daily activities, administer his medications, and to provide an understanding ear. In the past, family members have been available to help out when I attend an annual conference. April and Kym provided that service, and more. Before I left, they both stopped by so they could meet Herk, and discuss with me my concerns and needs. When I was gone, they arrived on time, had meals prepared, and took care of Herk's needs with compassion. The house was immaculate when I arrived home, laundry was done, and Herk was jovial in relating stories of "his morning and his night girls". I also recognize how well you run your business. Your business practices were very efficient, your information portfolio informative, and I especially appreciated the phone call during the week to keep me informed how things were going at home. You also come highly recommended to me by the Geauga County Department on Aging. 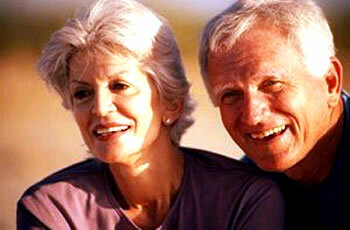 I will be sure to recommend Heavenly Touch in the future to anyone requiring in-home adult care. I will definitely call in the future when overnight travel takes me away again.